French band Nightmare were formed in 1979 and became known when opened for Def Leppard at the Alpexpo of Grenoble in 1983,in front of an audience of more than 4000. They signed for the label Ebony Records, which published the album Waiting for the Twilight. Nightmare replaced singer Christophe Houpert with Jean-Marie Boix to record their second album Power of the Universe. Shortly after, the band terminated its partnership with Ebony Records and the album was reissued in France by Dream Records. Their new label was soon subjected to financial difficulties, which delayed the release of an LP the band was working on. In addition, Jean-Marie Boix was forced to leave the band because of health problems,he was replaced by Scottish singer Tom Jackson (ex- Praying Mantis), hoping that his vocal qualities and his mastery of the English language could help the success of Nightmare on the other side of the Channel. This incarnation of Nightmare produced a demo with two songs and did a few shows in France and England, with moderate success. However, dissension between the musicians about the musical direction for the band, whose music was veering toward AOR,led to disbandment in 1987, closing for more than a decade the career of Nightmare. In 1999 they reformed with a revised line-up.Jo Amore, former drummer, took the singer position and left the sticks to his younger brother, David. The band signed a contract with Adipocere Records and released the mini-album Astral Deliverance, recorded in tribute to Jean-Marie Boix deceased w had recentley passed away. They released the double-live album Live Deliverance, recorded at the reunion concert held on 30 October 1999 at the Summum of Grenoble, noted as the first double-live album ever made by a French metal band. In 2000, Nightmare performed at the festival of Artifacts in Strasbourg and at the prestigious Wacken Open Air Festival. At the end of the year, Nightmare formalized their collaboration with Napalm Records and in June 2001 began recording the album Cosmovision at Soundsuite Studio, changing their music to melodic power metal. The famous French guitarist Patrick Rondat made a guest appearance on the first song "Spirit of the Sunset". The band then left for a short tour with Saxon. At the end of the tour, Alex Hilbert replaced at the guitar Jean Stripolli, who left the band along with keyboardist Stephane Rabilloud. The following year, Nightmare flew to the United States to participate to the Metal Meltdown Festival, which included in the roster Manowar and Saxon. Back in Europe, they opened for Blind Guardian on the dates of Lyon and Paris and were featured in several festivals, including again the Wacken Open Air. In 2003, Nightmare returned to Soundsuite Studio to record the concept album Silent Room and started the year 2004 with a European tour supporting After Forever and Dark Moor.At the end of the year, Nicolas De Dominicis, historical member of Nightmare, left the band and was replaced by guitarist Franck Milleliri. A contract was signed with Regain Records for the album The Dominion Gate, recorded again at Soundsuite Studio with Terje Refnes. A long tour followed in 2006, supporting After Forever, as in the previous one.In August 2008, Alex Hilbert decided to leave the group for "personal reasons" after 6 years of service.He was permanently replaced by JC Jess. 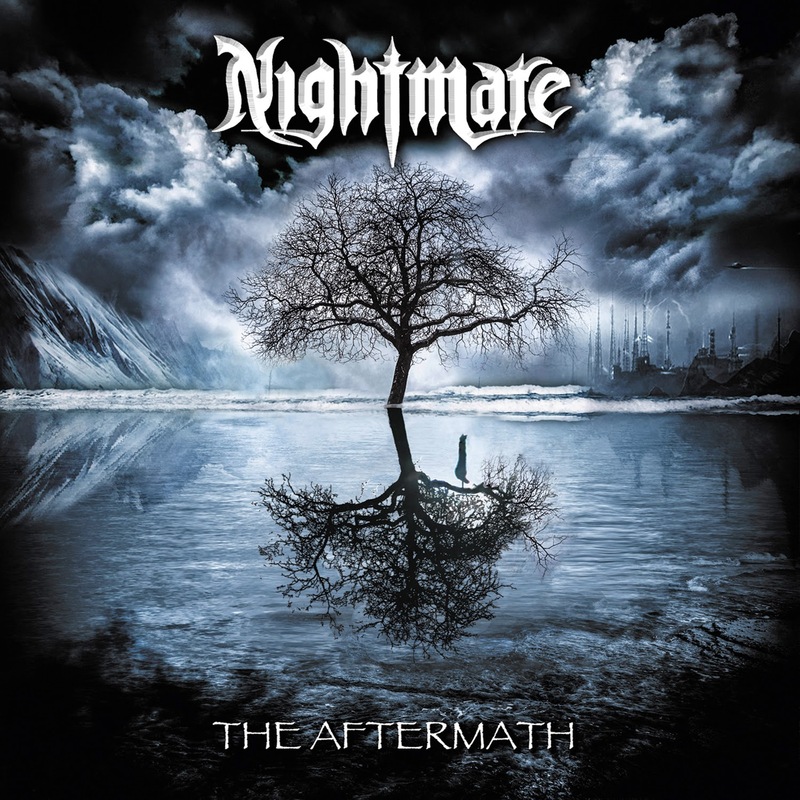 In September 2009 Nightmare released their seventh album, Insurrection, with AFM Records. 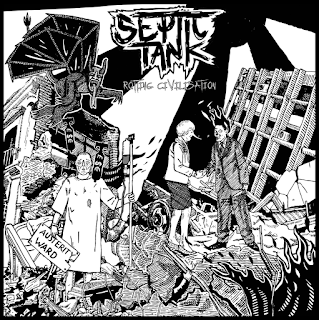 This album, heavier and more direct than its predecessors, earned the group many good reviews from press and fans. On 31 October 2009 the band held a concert for their 30th anniversary at the Edmond Vigne Hall in Grenoble, where the group originated. The concert was filmed for a DVD released in 2011.The group participated to the 2010 edition of the Wacken Open Air Festival and toured in South America the same year. 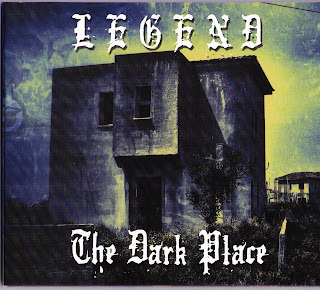 The spoken intro (Female voice, dont know who) and a very symphonic backing leads us into 'Bringer Of A No Mans Land', trading typical mid 80's power infused euro heavy metal with a Dio-esque vocal delivery.Have to say that this reminds me of u.s nu-metallers Disturbed. Keeping the power going with 'Forbidden Tribe' punctuated by some furious double pedal work, this one sticks with a symponic metal sound, huge chorus with backing vocals, powerchords, drum driven and some nice bass fills. Picking up speed for 'Neuromancer', the main thing you get from this is that you have a superb vocal talent backed by a frantic drummer, it drives the music along. A touch of Heaven & Hell lurking in 'Invoking Demons', its one of those big "epic" mid tempo numbers, Its one of those head nodding songs that gets stuck in your head. You know 'I Am Immortal' is just a keyboard away from Dimmu Borgir style symphonic Black Metal, there is some orchestration in the mix, but i dont know by whom (have a word with your pr guy at AFM, the info given is so basic!!!). Some weird vocal effects on 'Digital DNA' and a few other strange elements thrown in to make this seemingly mainstream metal song stand out. Moving into technical thrash territory, 'Ghost In The Mirror' has a touch of Kamelot with Shagrath, another hard driving classic from this great album. 'The Bridge Is Burning' is a slow burner, was not too sure to start with but as it goes along it seems to build, some nice piano playing and a stunning little guitar solo help make this one quite a stand out track in the end. Love the evil voice effect thrown in to make 'Mission For God' a dark edged rocker. Its another drum driven song, this stuff will be amazing live! Finally more double pedal work mixed with solid riffs with 'Alone In The Distance', the blend of melody, style, agression all works to perfection. Wow nothing short of amazing, this is one helluva album, you should own it!